The ancient Greeks used the term catharsis for the cleansing of both the body by medicine and the soul by art. In this inspiring book, internationally renowned cardiologist Andrzej Szczeklik draws deeply on our humanistic heritage to describe the artistry and the mystery of being a doctor. Moving between examples ancient and contemporary, mythological and scientific, "Catharsis" explores how medicine and art share common roots and pose common challenges. The process of diagnosis, for instance, belongs to a world of magic and metaphor; the physician must embrace it like a poem or painting, with particular alertness and keen receptivity. Speculation on ways to slow aging through genetics, meanwhile, draws directly on the dream of immortality that artists and poets have nourished through the ages. And the concept of catharsis itself has made its way from the writings of Aristotle to today's growing interest in the benefits of music to health, especially in newborns. 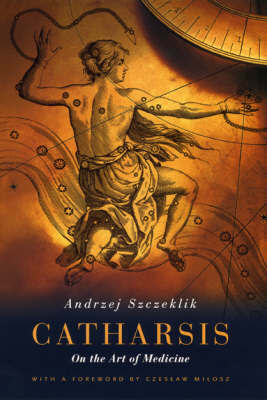 As Szczeklik explores such subjects as the mysteries of the heart rhythm, the secret history of pain relief, the enigmatic logic of epidemics, near-death or out-of-body experiences, and many more, he skillfully weaves together classical literature, the history of medicine, and moving anecdotes from his own clinical experiences. The result is a life-affirming book that will enrich the healing work of patients and doctors alike and make an invaluable contribution to our still-expanding vision of the art of medicine.